Published: July 26, 2017 at 05:47 p.m. Updated: July 26, 2017 at 08:49 p.m.
Madden NFL 18 is coming. The venerable franchise will soon return for another season, and if you're a true Madden freak, you're already wondering how the league's incoming rookies will be rated. (Are you one of these people? That's extreme, man.) Anyway, let's go ahead and highlight the top-five highest-rated rookies, which, if nothing else, gives Jets fans one thing to be happy about this summer. 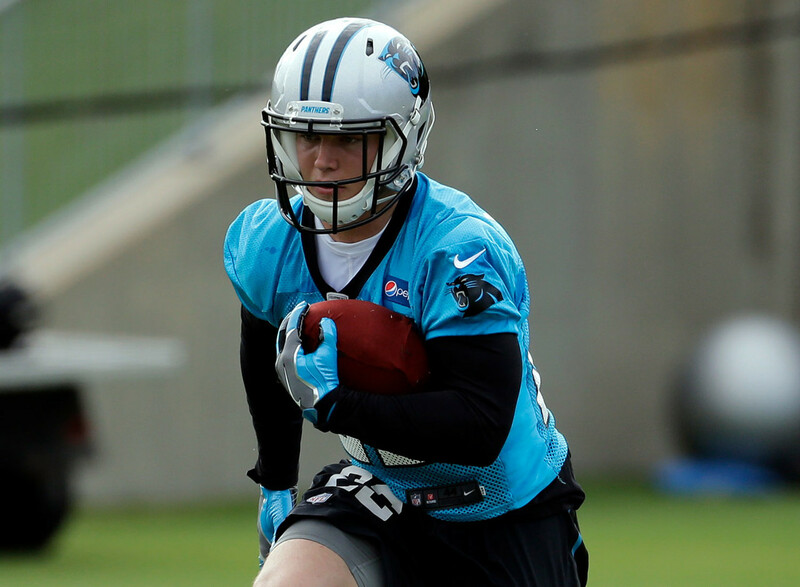 The Panthers hope they've hit big on McCaffrey, whose game-changing speed and playmaking ability could finally take a little pressure off Cam Newton to be the all-everything Superman in Charlotte. McCaffrey's overall rating is tied for tops among rookie running backs, but doesn't sniff the 88 rating Cowboys running back Ezekiel Elliott was granted as a rookie. If we all agree never to mention this to Christian, maybe he'll never find out. The Jets might be in tank mode, but they did well with Jamal Adams at No. 6 overall in the 2017 NFL Draft. The Madden ratings team -- a shadow group comprised entirely of moonlighting CIA expats -- seem to agree, bequeathing Adams with the second-highest score of any rookie defender in the NFL. According to EA Sports, Adams' 90 "hit power" rating is topped by only a "handful" of players in the league. No word if Madden allows Jets fans to play Adams at quarterback. In Madden, it's key to have a "ground and pound" running back you can trust for the all-important halfback dive playcall. Well, it's key for real football teams to have this as well, but it's really vital in Madden, especially when you're playing one of those jackals who can score in less than five plays every time he or she has the ball. How do you defeat a superior Madden player and cause them to lose his s--- in front of his buddies in a truly embarrassing way? Ball control, my friends. Ball control. Anyway, with a 81 overall rating and 92 "truck score", Leonard Fournette is that dude. Draft pundits were surprised when Howard dropped to the Bucs at 19th overall in the draft, but the Madden ratings team -- a covert group of stay-at-home mothers with video game experience that dates back to Pong -- believes O.J. Howard is the real deal. In terms of bragging rights, Howard is the highest-rated rookie tight end in the last three years of Madden. Tell your mama. Myles Garrett was a no doubt first-overall pick from the start of the draft process, which tells you he's pretty damn talented. As such, the Madden ratings team -- a cadre of extraterrestrial gnomes who live underground and subsist on kitty litter and Gatorade -- has awarded the former Texas A&M stud with the highest rating of any rookie. For what it's worth, Madden rated Chargers defensive end Joey Bosa six points higher as a rookie, which will perhaps serve as unconventional motivation for Garrett as he attempts to save the Browns. Godspeed.